In any networked business or professional environment, the bizhub 4050 multifunction printer gets the job done better -- with fast 42 ppm print/copy output in high-resolution B&W, plus color scanning from a large 7" touchscreen that's as easy to operate as a familiar tablet. 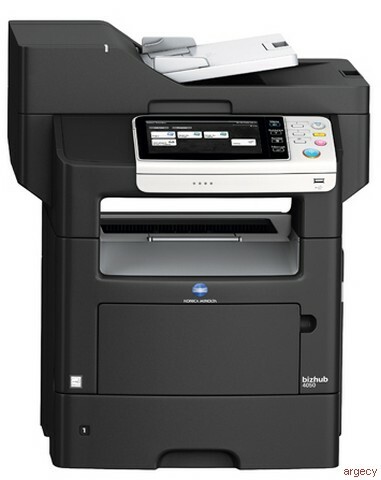 With 42 ppm print/copy output in high-resolution B&W, the bizhub 4050 delivers faster, better-looking documents. Compact, networkable and cost-efficient, it also lets you scan and share information in color from your touch-and-swipe control panel - even add optional high-speed fax for all-in-one productivity. 1st copy out time 8.5 sec.